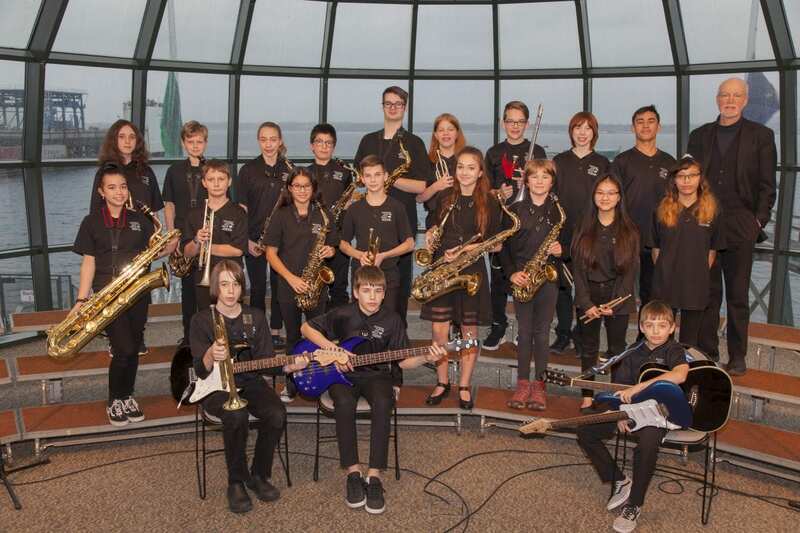 Big Band Bash X at Boundary Bay Brewery and Bistro rounds out the school year with a celebration in Boundary Bay’s Beer Garden from 5:00-8:30. BYJB joins other high school bands and WWU big bands. This is a fundraiser to support student scholarships for BYJB participants and WWU’s Jazz Studies program. Suggested donation is $10. 11-noon, join the BYJB for a double header 11-noon at the Bellingham Farmers Market, then later in the evening join us at Boundary Bay Brewery from 5:30-8:30 for Bellingham Big Band Bash X, a fundraiser to support student scholarships. By donation $10 suggested. BYJB plays at the Bellingham Farmer’s Market at Depot Market Square from 11-noon. BYJB plays for the Bellingham Dance Company, 7 pm, 1844 N. State Street, Bellingham. Open to the public. BYJB plays a double header on March 23; 2-3 pm at the Willows for parents and residents then 5pm in LaConner at Maple Hall.